Bruce Wayne (Christian Bale) is travelling the world, attempting to find way to get past the murder of his parents that he witnessed as a small child. After training in some mountains with a mysterious group, he eschews their offer to join them and returns to Gotham, to his butler, Alfred (Michael Caine) in the hope of improving the lives of the residents. But there is a bad guy, the Scarecrow (Cillian Murphy) who is causing problems. Bruce meets Fox (Morgan Freeman) who is in research and development, and Batman Begins. Having used The Dark Night as a teaching text, I tend to be overly focused on that film over either this or the final in the trilogy. Watching this again reminds me of just how good it is – characters are set up, a strong story is told and it is left on the edge of the next film. Wonderful. 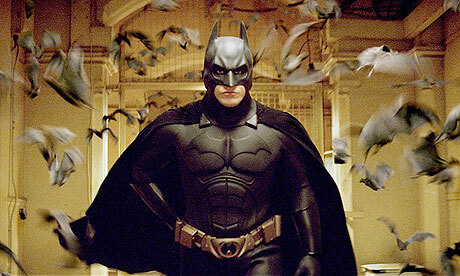 Batman Begins was nominated for an Oscar for Best Achievement in Cinematography.